John McCain tweeted during the press conference "Looking at Trump's hair was far worse than any torture I endured as a prisoner of war #goldilocks" ... to which Trump answered with "My hair is my power, old man #samsonhead". 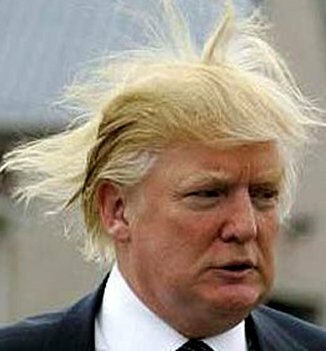 Unfortunately, during the announcement, The Donald's hair unexpectedly moved when a gust of air caught his golden locks. 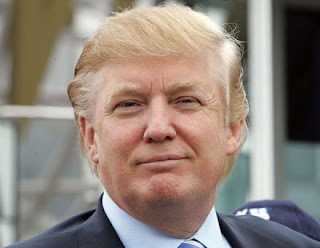 Never one to let an embarrassing situation render him speechless, Mr. Trump countered, "I have just learned that my hair has changed positions and will not run on my ticket so I have decided that MY MOUTH would be a better choice."